Jim Donahue serves as the Deputy Chief Financial Officer and has been with the International Trade Administration since 2001. Even before the President issued Executive Order 13589 entitled Promoting Efficient Spending the International Trade Administration (ITA), and indeed, all of the Department of Commerce, had been on a mission to reduce spending in areas where savings could be generated without reducing program effectiveness. Thanks to suggestions and input from numerous ITA staff representing the entire agency ITA has been particularly successful in identifying potential areas where savings are possible and actually following through and capturing the savings. As the ITA administrative savings team ramped up and started generating successes the novelty of the project breed additional enthusiasm and momentum that became contagious throughout the organization. 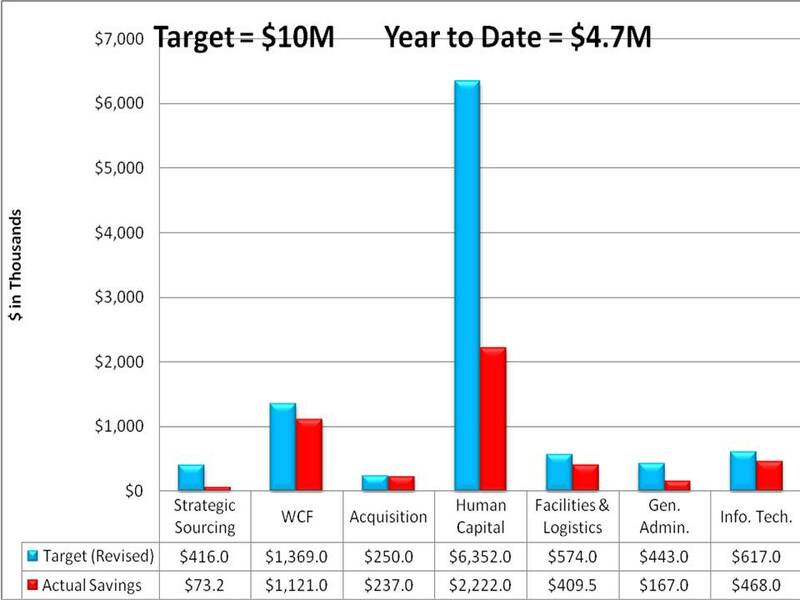 The ITA savings target for fiscal year 2012 is $10 million and we are on schedule to hit the target. Unlike most federal actions, the savings that are contributing to the target are extraordinarily diverse in size and description. They range from a $4,100 savings associated with a redesigned car lease to $360,000 in rent savings by tightening our belts and improving our utilization of space within the Hoover Building here in Washington,D.C. My personal favorite savings item is the $167,000 ITA saved by using office supplies left over from the 2010 decennial census. ITA staff pitched in this winter to coordinate the delivery and distribution of 50 boxes of pens, paper, files folders and other miscellaneous supplies that could be put to productive use in ITA. Savings like these are not inconsequential. They save both precious money and reduce waste. Like every businesses around the country, these savings add up. And I am proud to tell you that these are just a few examples of how ITA is taking efficiency spending seriously – and there will be many more examples to come.